Last month, a baby was born in Tennessee resulting from an embryo that was frozen for 24 years to a mother who was 25 years old at the time the embryo was implanted. This is a lot to take in, but entirely possible. An embryo frozen on Oct. 14, 1992, was donated to the National Embryo Donation Center, where, in March 2017, it was adopted, thawed and implanted in Tina Gibson. Then, on Nov. 25, 2017, Gibson gave birth to Emma Wren Gibson, her daughter. While Gibson went through pregnancy and childbirth like any woman after undergoing IVF, the embryo — created only one year before Gibson herself was born — is not genetically related to Gibson or her husband. When Gibson and her husband, Benjamin, adopted the embryo that later became their daughter Emma, they told CNN they were surprised when they were informed of the exact age of the embryo. Previous to this, the embryo that was frozen the longest and resulted in a birth was in the freezer for 20 years. Embryo adoption (or donation) is a lesser-known option for people who are unable to conceive, but are able to go through pregnancy and childbirth. Frequently, when couples or individuals go through the IVF process, they create more embryos than they need or want to implant. They are then faced with the decision of what to do with the leftover embryos; their options include freezing them indefinitely (and paying for the storage space), providing them for medical research, destroying them or donating them to an organization that facilitates embryo adoption. 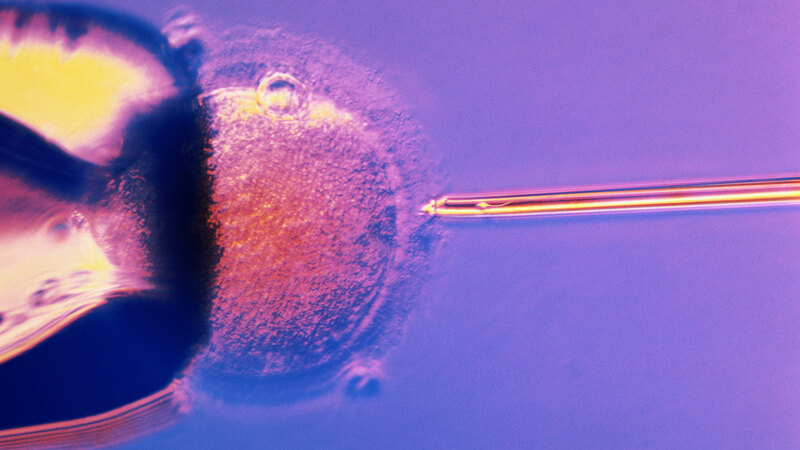 Given that IVF has been used in regular clinical practice since 1978, this means there are potentially embryos out there that have been frozen since then and, hypothetically, could be implanted and gestated now. And now, thanks to Emma’s birth in Tennessee last month, we know that spending up to 24 years frozen does not necessarily negatively impact embryo quality, offering embryo adoption as another option for those who may have difficulty conceiving.